Of course, most of us would do best to eat whole food sources of protein instead of powders, but there are certainly good reasons to use supplements. That being said, I thought I’d share my favorite protein powders and how I use them. Please note, some links are affiliate links. Those that are affiliate links are only attached to products I use, enjoy, and would recommend even without the privilege of teaming up with awesome companies. Equip Build Beef Isolate Protein (previously pureWOD): Paleo friendly, non-GMO, and only 3 ingredients. As of right now, it comes in chocolate. I love that it is sweetened with stevia and has NOTHING artificial. I am blown away by this product. The taste is phenomenal. It has no xanthan or guar gum (hello tummy troubles! ), but still manages to have a fluff/volume factor on par with any brands that do have those additives. This product was recommended by Emily Miner (see here and here), and I am super glad I listened. That girl has never steered me wrong though! For $10 off your first order, go here. (Expires 10/12/2016). I used the protein to make one of my go-to post workout shakes (chocolate PB flavored). Basic recipe: 1 serving (30g) of the Build Beef Isolate, 2 TBSP (12g) PB2, 6oz almond breeze, 2 oz frozen sweet potato, a handful of ice, and a 1/2 tsp of matcha powder. PB 2 (Bell Plantation): Vegan/vegetarian friendly. Comes in regular and chocolate. While it is not strictly a protein powder, it is very high in protein at 5g per 12g serving. You can use it it baking to replace flour, in shakes/smoothies, to make low calorie/high protein peanut butter, sweet and savory sauces, etc. Recipe ideas: here. 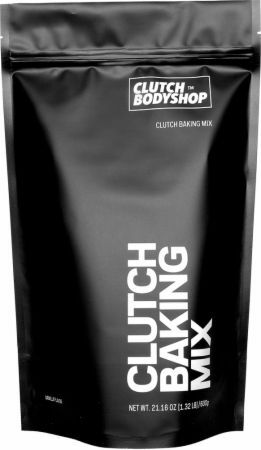 Clutch Baking Mix (Clutch Bodyshop): Currently out of stock on their site, but supposed to be back soon. Vegan/vegetarian friendly. Designed specifically for making waffles and pancakes, but also great for making other baked goods as well as smoothies and shakes. It is stevia sweetened and non-GMO. Comes in vanilla and the taste is insanely good. Sometimes I just sprinkle it on top of stuff (yogurt, fruit, etc.) or roll no bake/healthy bites in it because I enjoy the taste that much. Recipe ideas: here. Dales Raw Protein: This is a raw vegan hypoallergenic blend, but don’t let that scare you! It is a very “clean” protein without any weird ingredients and is stevia sweetened. All of the flavors are good, but my favorite is the vanilla. I tried the sample pack on my first order and have been ordering the Vanilla since the Clutch Baking Mix (also a vegan blend) has been out of stock. 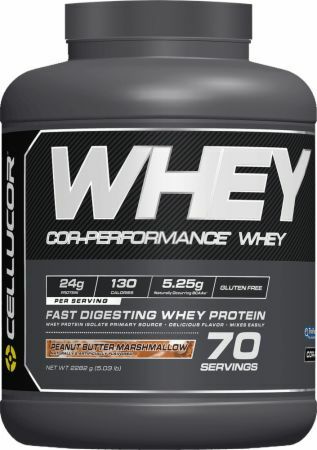 Cor-Performance Whey (Cellucor): Fun flavors like: mint chocolate chip, red velvet, s’mores, peanut butter marshmallow, cinnamon swirl. Their molten chocolate and whipped vanilla are excellent as far as ”basic” flavors. This protein does have low calorie/artificial sweeteners, which I know some people try to avoid. Also, they add xanthan gum, which is a thickener, and makes them fluff up fantastically. Great for smoothies, shakes, and puddings. 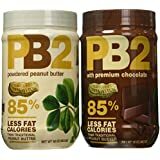 Can be used to make #ProCheesecake, #AFLCoconutProteinCake, and the #BeltsanderBrownie (search on Instagram if you don’t know about these yet!!) no bake bars and bites, as well as baked protein goods. Recipe ideas: here. 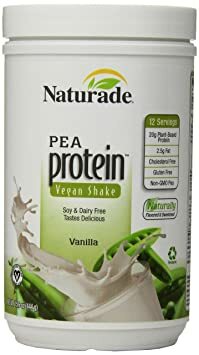 Vanilla Pea Protein (Naturade): Vegan/vegitarian friendly. This one tastes like vanilla cake batter. It does have a combo of sweeteners, and also added thickeners. I use it for no bake and baked goods. Really good taste. I haven’t tried the chocolate. Recipe ideas: here.